Bought based on store employee recommendation, quite tasty and dry. Turns out it pairs well with pho tai. Our tastes are simple . . . We like the best! 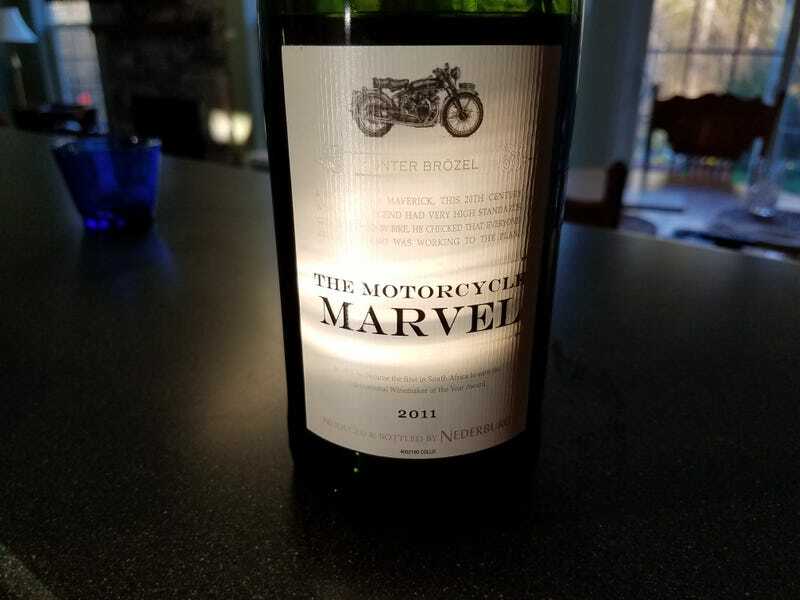 Figured that Oppos would enjoy the motorcycle marvel name on this South African wine.